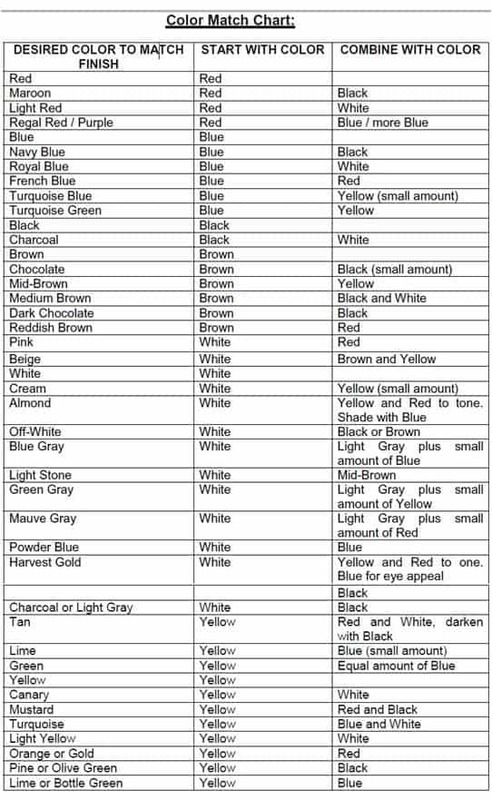 Use the color chart below to determine how to tint your gel coat. Use the base color shown above and then add the corresponding gel coat tint (gel coat coloring agent) . For smaller repairs you should consider a gelcoat repair kit (available in 1oz and 4 oz kits) that include a gelcoat paste and the tints for custom matching. For larger amounts of gelcoat, we also have over 12 premixed colors of gel coat to choose from (available in quart and gallons) . You can also use a neutral gelcoat which can be used with the coloring agents to make any custom gelcoat color. This entry was posted in Gelcoat and tagged colored gel coat, tinting gel coat on July 17, 2012 by Jason Revie.